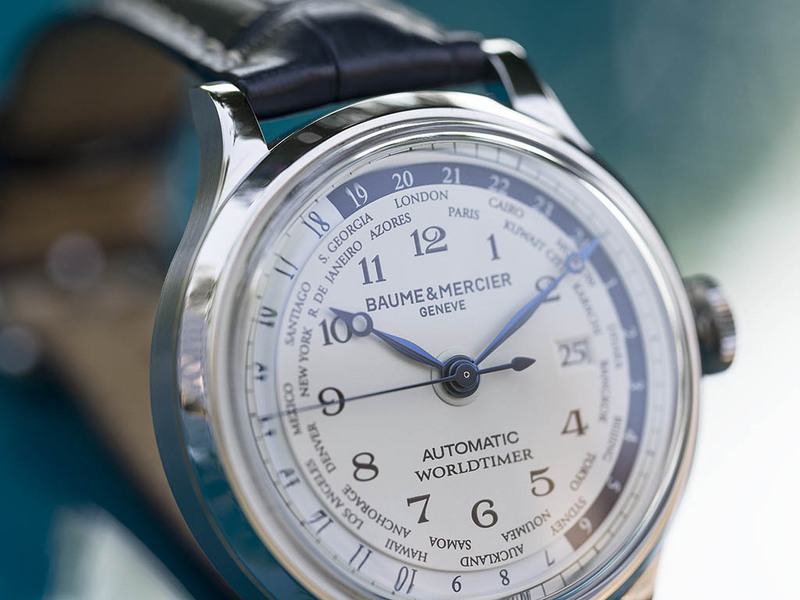 As you might remember, not long ago we already told you about Baume&Mercier’s history and recent models here at Horobox. We always try to stay objective when it comes to our reviews, regardless of what brand or watch we are writing about. 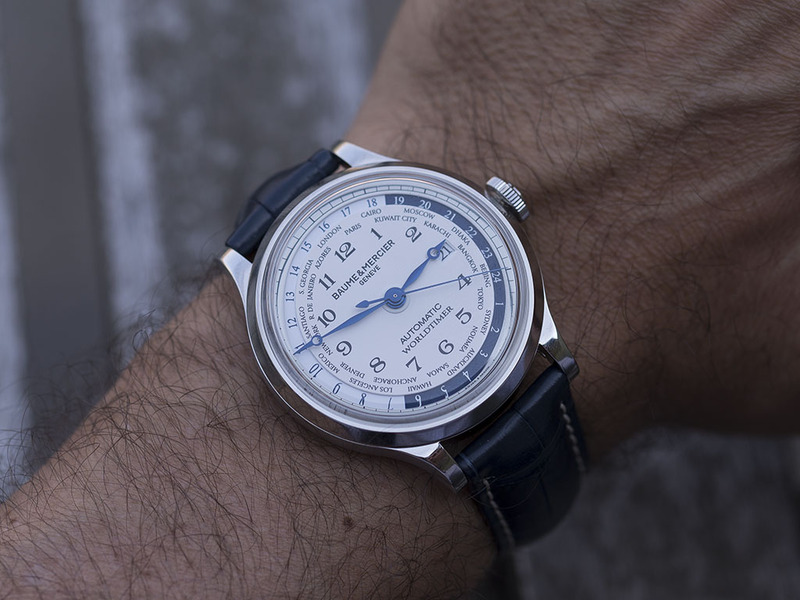 For some reason however for us there is something special about this particular watch and I feel like it is hard to suppress my personal fascination when it comes to this model. My first personal encounter with the brand was back in 2007. This particular piece I am wearing on my wrist for a week now and I have to say it is really growing on me. Lately I had the opportunity to get my hands on a number of Worldtimer watches. Certainly, for those who travel a lot (like me), these models can become useful companions. 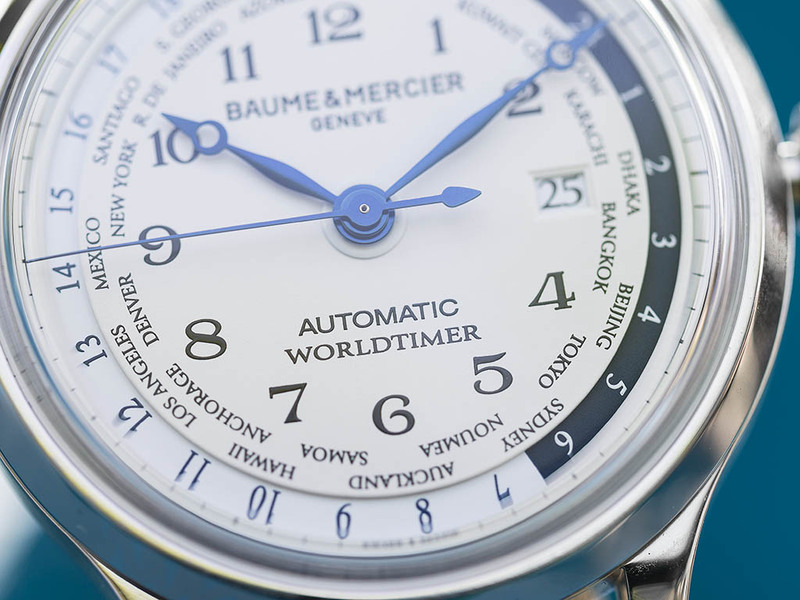 Distinctly from GMT watches, Worldtimers display the local time in all 24 time zones around the world. 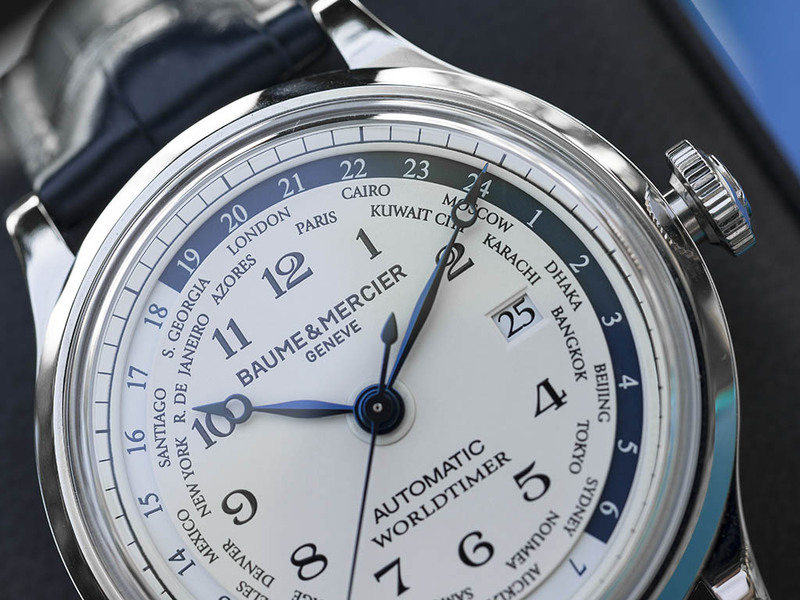 This piece from Baume & Mercier features a 44mm stainless steel case and is equipped with a scratch resistant sapphire crystal. Thanks to the anti-reflective properties of the glass the watch is easily readable at all times and looks amazing paired with the bright look of this model. 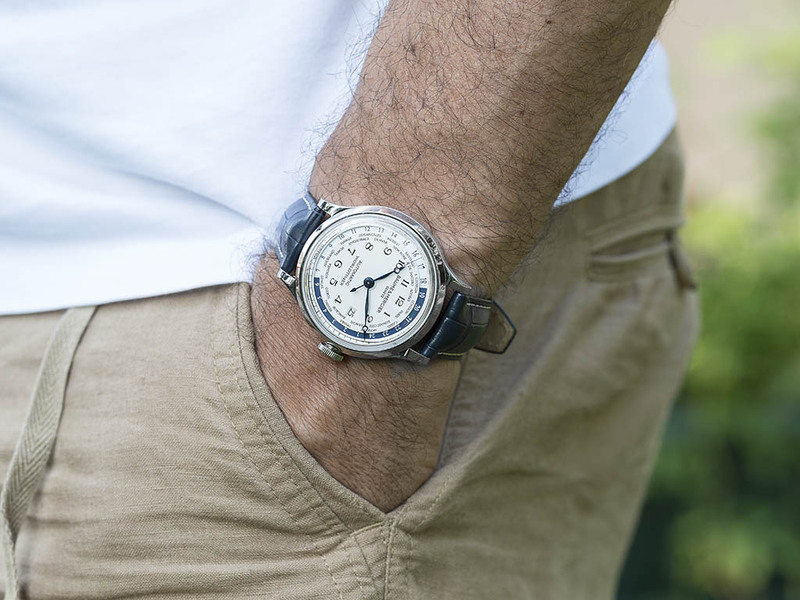 The blue Breguet hands sit perfectly above the off white dial. Around the dial you will find the two-colored rotating disk that is displaying the local time around the world. The color combination looks amazing and but also has a utilitarian side, as the colors serve as a day and night indicator. In order to use the Worldtimer function, you have to set your local time first, and then match the rotating disc with your local time, this way every city will fall into its correct place. By pulling the crown one time you can move the minute hand in one-hour intervals. First of all you should set the date, subsequently you should set the minute hand with the time zones on the outer disc. 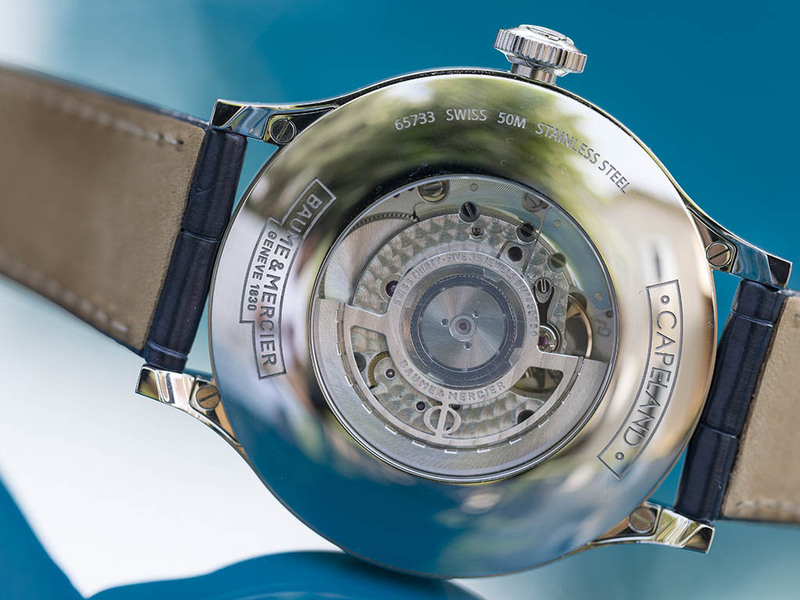 This movement designed and manufactured by Richemont Group is based on a Selitta made caliber. 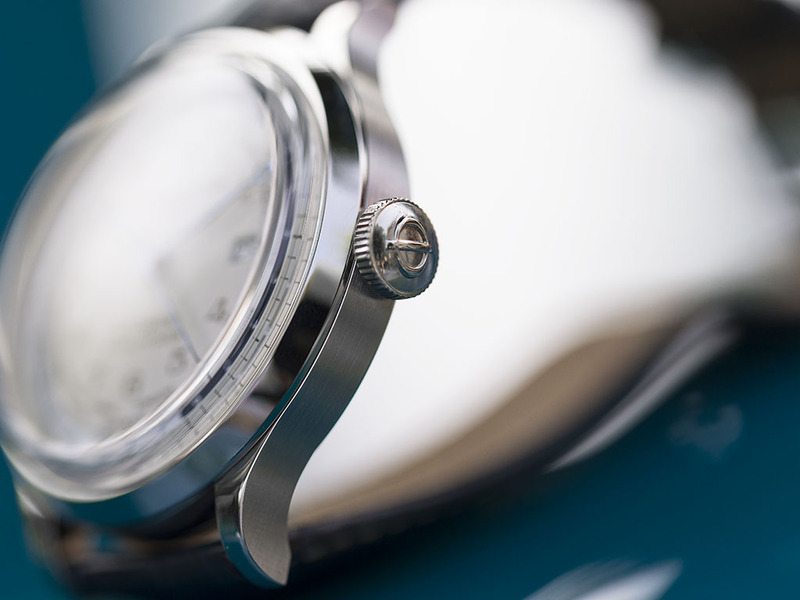 The watch offers 42 hours of power reserve and while this is enough for daily use, a winder will be inevitable for those who have a number of watches. This Blue crocodile strap is in perfect harmony with the dial and overall look of the watch. 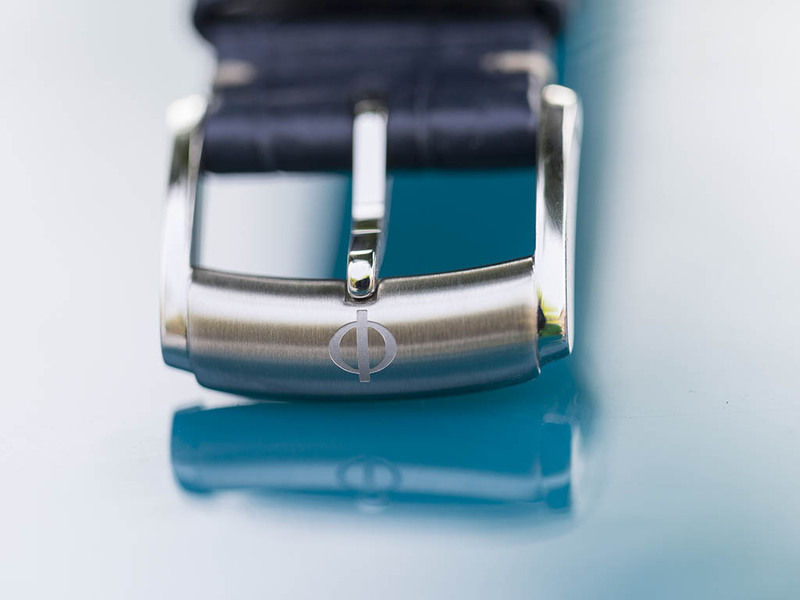 The thin buckle chosen for the strap looks very elegant and also offers great comfort. 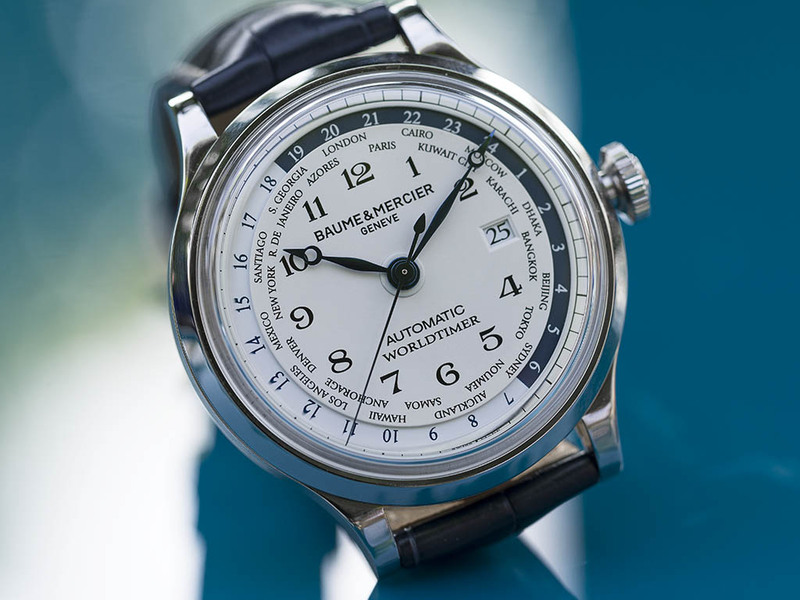 Like other models in the Capeland series the reference 10106 Worldtimer has both an elegant and a sportive appeal. 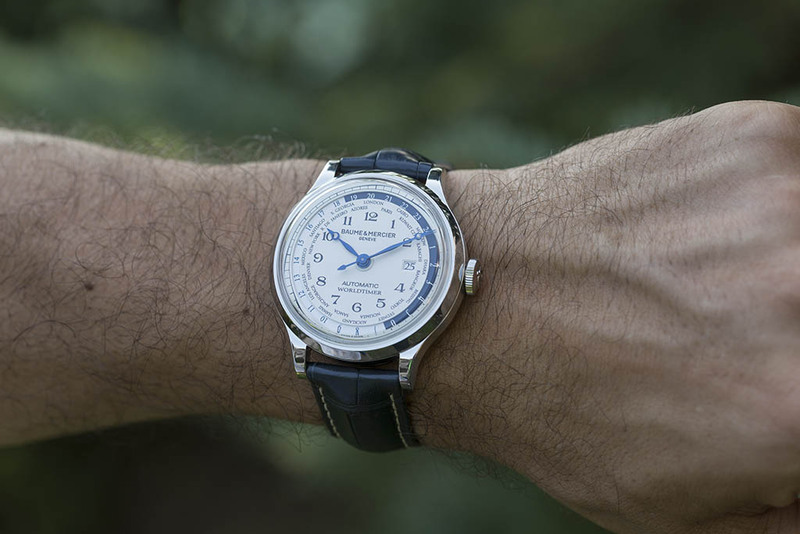 Compared to a number of brands the Worldtimer is priced very reasonably and with all its attractive features it has a lot to offer. 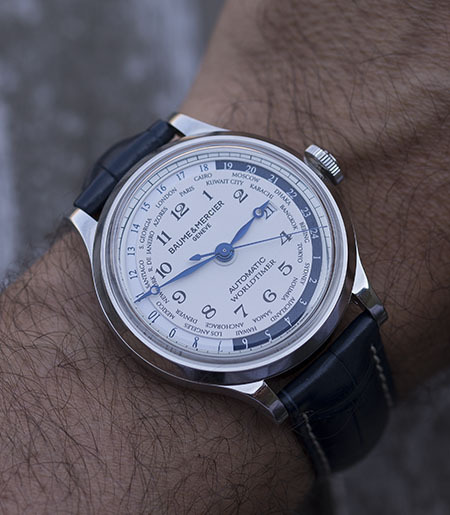 I can easily say that the Baume&Mercier Worldtimer is among the best, most striking, and surprising watches, which we got our hands on here at Horobox. I would like to express my gratitude to Baume & Mercier for giving us the opportunity to have a look at one of these beauties.